An updated version of a helmet that has been around for ages. The Max+ has a proven track record when it comes to safety and has now been updated with an even easier to use fit system. 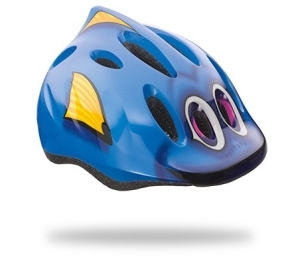 Playful designs and cool graphics make this helmet a favorite. It features the LazerTS+ Turnfit Retention System for an easy to adjust and perfect fit. It also has 11 vents to help keep the interior cool with an integrated insect net to keep bugs out. The use of 360 degree reflective material assures high visibility. And the in-mold construction keeps the weight low.